Nainital is one of the best tourist place surrounded by the mountains. Those who want to experience the beauty of nature are welcomed by the mild breeze of Nainital. Read this article to know more about an amazing experience in Nainital. 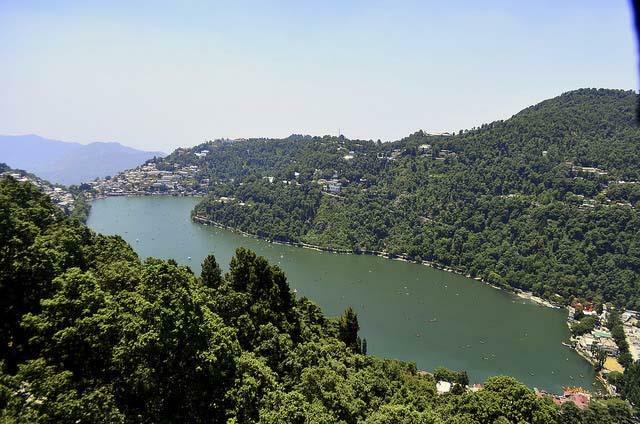 The city of Nainital offer many pleasure and treasure to cheer for the tourists who arrive here, But this place is also an intellectual hub thus it adds core to the value of those who come to enjoy and learn hill settlements overall. It's whether having fun near the waterfall or walking through silently between the Cave garden. Two days before the ceremonial function to take the pressure in was similar for us. We keep walking through the silent woods with occasional wild hen's prowls or small chatters of newly born babies of the Monkey families nearby the trees hanging with their low branches. I had thought to enjoy the forest ride before I start my plans to the ceremony so I continue to discuss with my fellows about the ideology and there on the discussions to bring back 'Culture' of the hills came as an exciting moment in our minds, so we thought to put it on and take a consulted view to the director panel. The trouble of our conference for the ceremonial function was that we had chosen 5 members to participate and yet they were not enough to cheer on. They had hardly considered tourism as a value point thereby Our worries add to their own information about the hilly planes. We did point out while our walk for discussion nearby the high branches that even if they manage to explain the environment, they might not be able to express what this city offers as a tourism platform. We were howling much louder than those chatters of the monkeys so we didn't realise that they have taken our food packages and vanished into the forests without making noises. We deciphered better means of concluding the idea and thought that we should have something for snacks in the canteen of the professional platform, Thus turning back we did realise that the counter balance of happy memories is not going to be easy for those professors coming to attend the ceremony indeed. What happened most unique while we were trekking down from the heavy boulders between Chungi road to upper stone walls that we came to witness one of the rarest Egret species, but we were so busy discussing for our ceremonial function and conference that we couldn't capture the same in our camera, Anyway we breathe that all we have done for the nature's boundaries to travel in our theme for the ceremony shall come to result and We were hoping to have a good replacement of schedule (which was later on not accepted) that we should bring more flavour and make the tour of the visitors more unique than it is generally thought so indeed. We did gather in a group near the old canteen house and had to shiver in the violent cold wind that was assuring heavy nighttime rainfall. We didn't have any idea which way forward and what to plan out. We have cut off some program from the list due to bad weather and uncertain expectations of those who were not coming to attend the ceremony. However, our plans were made to ensure those who arrive should enjoy whatever they face in their plates to assure themselves, Thus the day before the arrival of people we went back nearby to the lake and settled beside the temple so we could enjoy the real flavour of culture and pleasure indeed. I had great momentum with the Panditjee of the temple who know me due to my parent's legacy. I discussed ways and means and also provided some Prasad to the fishes of the Naini lake which was nice fun. Once we had done with visiting the temple, we crossed the road leading to the coffee shop and that became the platform to discuss the plans for the next day. As the time loomed on our boss also arrived there and we were assured that once the conference begins next day, we should be delighted to welcome the smiling faces which would put real boost to our own identity in case of intellectual representatives. It is a general trend in most functions these days that people or guests of speech are welcomed by lamp lighting ceremony and musical performances for the good of the prestige ay university platform hold on today. We did offer mementoes and lamp lighting to 5 of the guests who were going to be chief speakers and watch them take part in the Vandana ceremony. However, we had more than the prayer ceremony for the musical welcome as a welcome trend for those respected people. We broke off once the Vandana finished and asked the fellows about the Kumauni flair and realms. They did show brief interests, So the musical personals were asked to join on in two kumauni songs of welcome before the Musical trend took great flair. The people seems to be mildly interested in the Kumauni flair and we also offered them Kumauni Hand-made chips before the celebrations might finish and the atmosphere of the academic status get gathering further on indeed. Once the visiting people and our delegation had been done with lunch, It was time now to showcase the discussions in the context of the natural prosperity of the Nainital indeed. The first question which came to notice in the conference was about the water level of the Lake in the city. The fellows from both sides discussed key concepts for the balance of the lake waters as well as the emissive probability of the natural resources. The scholars from our side did give reasons for comparative environmental basis, But the other side also discussed the unnatural rain barriers and the lack of water resources in the hills which might affect the Naini lake in the future in the context of Natural balance. The arguments finally came to the stop by Factual Foreign and Local analyses and Expectations for better splendid plans for management of the water resources in the lake at large. The other discussion took place by the short documentary and a presentation between the two parties with great cheers and applause for both efforts. The documentary was prepared by the Guest delegation on the Animal Safety in the Hills of Nainital which showed about the final expectations for Snow Leopard, Mahasheer Fishes, Musk deer and Rare Monal's species in danger which drew unique attention. The presentation by our party created facts of Biodiversity and it's ranging validity in the hills of Nainital through expansion of Rhododendron, Burkfurus and other plant exercises. The arguments were cut short due to the time limit of the movie and presentations. A final agreement came to visualise for Biodiversity where the role of NGO, Forest divisions, and official parties came into visualisation and It was unique to witness such implementation being put into the records for future reference. The final discussion before the evening in the conference surfaced as the cultural traces of the Environment of the city of Nainital. The both parties discussed the role of people for Environment making it eternal to control the losses that it had suffered last year, especially after heavy wildfire. The guest party talked about the massive role of the imprints of cultural interference due to which such certain fires are caused indeed. However, our party gave valid comments on the explanations and justified that it is necessary to understand for Tourism office and Tourists that they don't spread fire after they leave and they cooperate in the balance of the city, Otherwise, it would be tough to justify the safety of Environment. Finally, The comments were taken into fact as virtual standards and the third segment ended after great applause of those who had come to participate and witness the unique conference.